A British Pub in Prague? George & Dragon | Should We Go There? Yes. There’s a British pub in Prague and it’s a great place to visit. 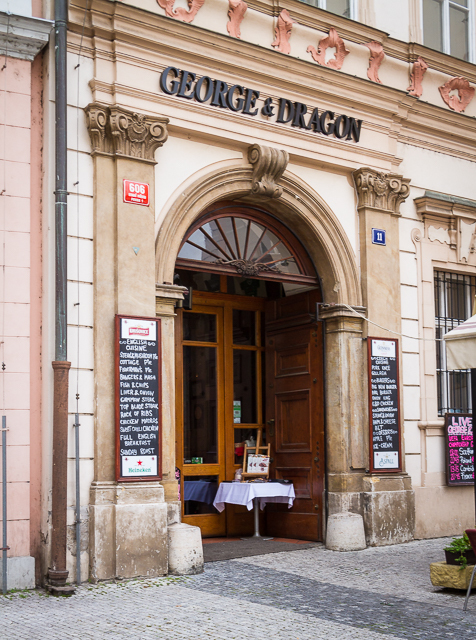 The George & Dragon pub is on the edge of the Old Town Square….. right next to the Irish pub… go figure. While the Irish pub was also in the running for our lunch business, the menu seemed to be more limited. George & Dragon had a more extensive lunch menu so that was our choice. When you walked inside it looked more like a British pub than the Czech version of a British pub, if you know what I mean. 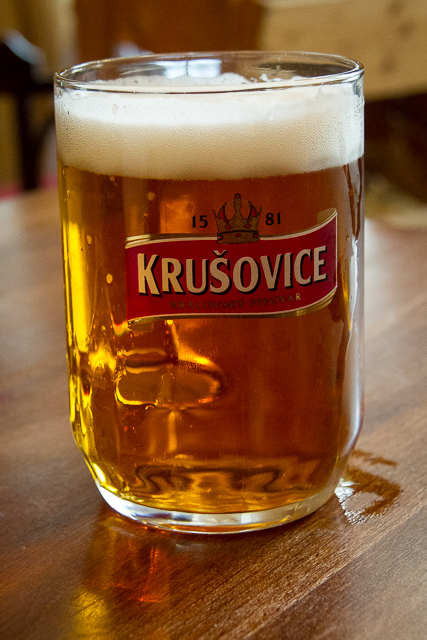 They did serve Czech beer, but as I had already discovered, Czech beer was pretty darn good. They had the typical British pub menu but we all ordered the fish and chips…. why wouldn’t you, right? When the order came out we were absolutely amazed. There was enough fish on each plate to feed two people per plate! And it was delicious. Thin breading and not greasy at all. The chips were crunchy on the outside yet not over cooked. The service was excellent and the staff very friendly, with excellent English skills. If you remember me speaking about “Prague prices”, that applies here as well. Our bill was around $8 USD per person for food and beverages. The George & Dragon is definitely a “do again”, or a “Do” if you’ve never been there. I’ve included some pictures and restaurant information. Enjoy.